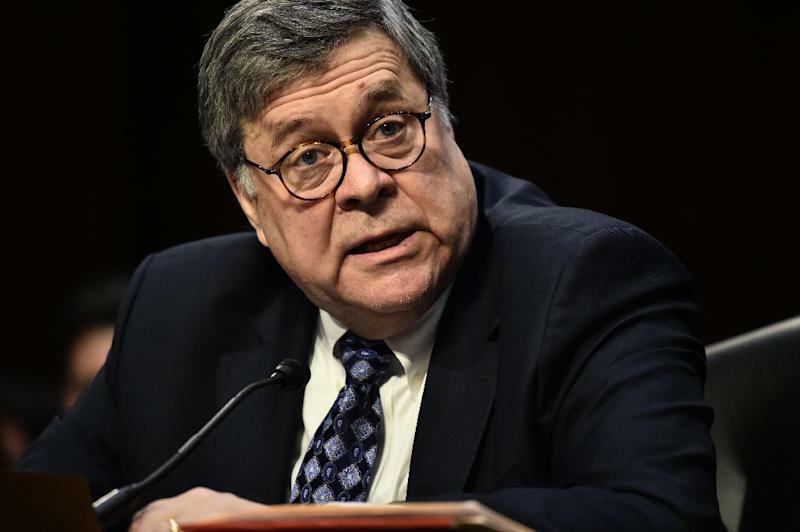 Washington (AFP) - US President Donald Trump's nominee for attorney general Bill Barr, who would have control over the Russia collusion probe, passed his first confirmation hurdle Thursday in the Senate Judiciary Committee. 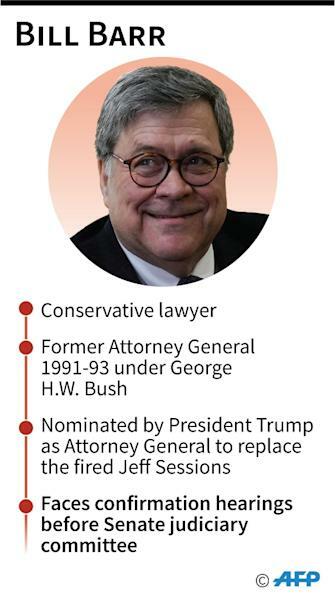 Barr would succeed Jeff Sessions, whom Trump sacked in November amid rising pressure on the White House from the Russia investigation of Special Counsel Robert Mueller. His recusal effectively served as a buffer between Mueller and the White House -- a barrier that will no longer exist once Barr is approved by the Senate, as early as next week. The 68-year-old was strongly critical of the Mueller investigation in 2017 while he was in the private sector. Last year he sent an unsolicited legal opinion to the Justice Department and White House arguing that Mueller had no grounds to investigate Trump for obstruction of justice based on the firing of FBI director James Comey in May 2017. Trump removed Comey after the FBI chief rejected pressure to limit the investigation to ties between Trump's 2016 election campaign and Russia. In confirmation hearings last month Barr said he would protect Mueller's investigation, and rejected Trump's characterization of it as an illegal "witch hunt." He also said he would rebuff an order from the White House to fire Mueller, in the absence of any good cause. Mueller has already charged six former Trump aides and associates with various crimes. "We need an attorney general who can assure the Senate and the public that he will stand up to a president who believes the Justice Department exists to do his personal bidding and to protect his personal interests," Schumer said in a tweet.